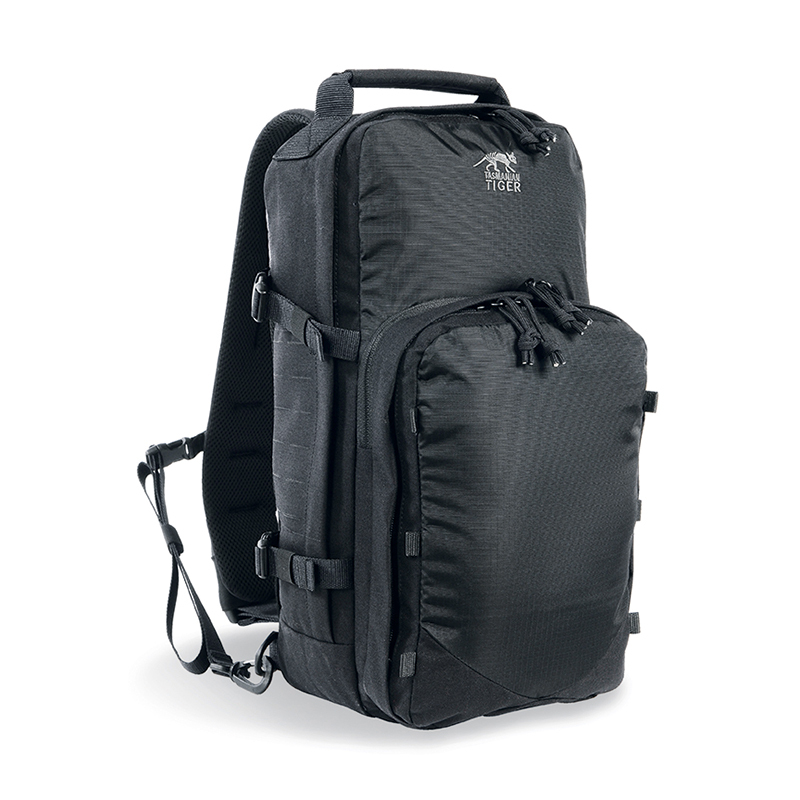 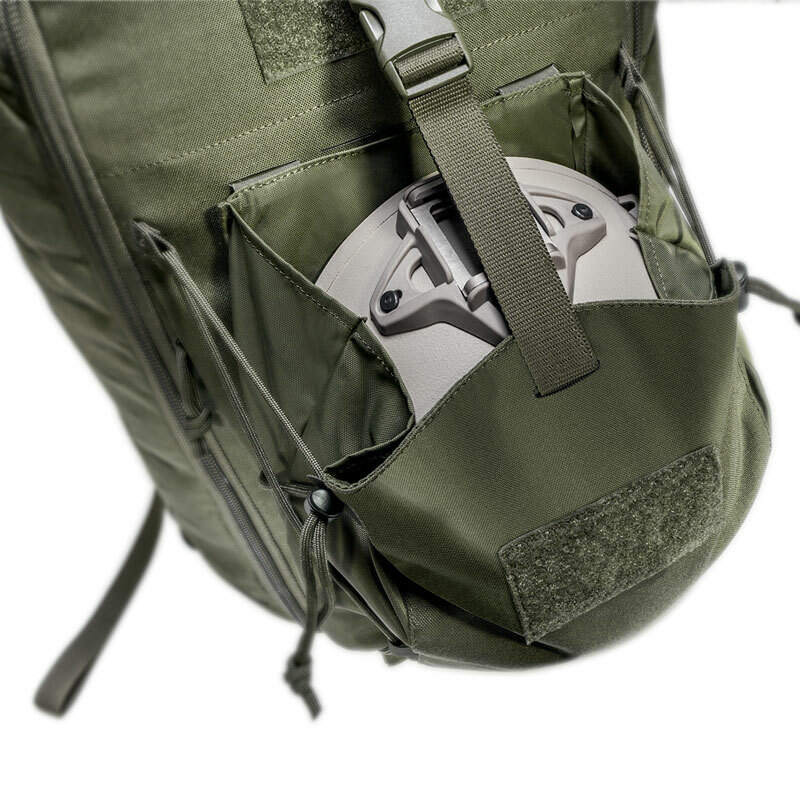 Modular, universal deployment backpack with removable cover. 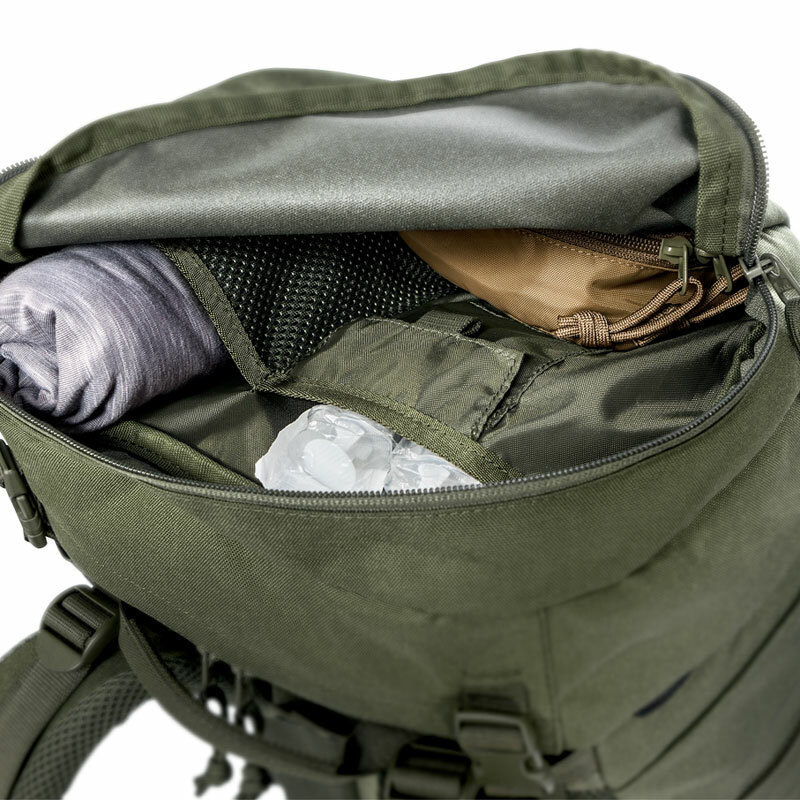 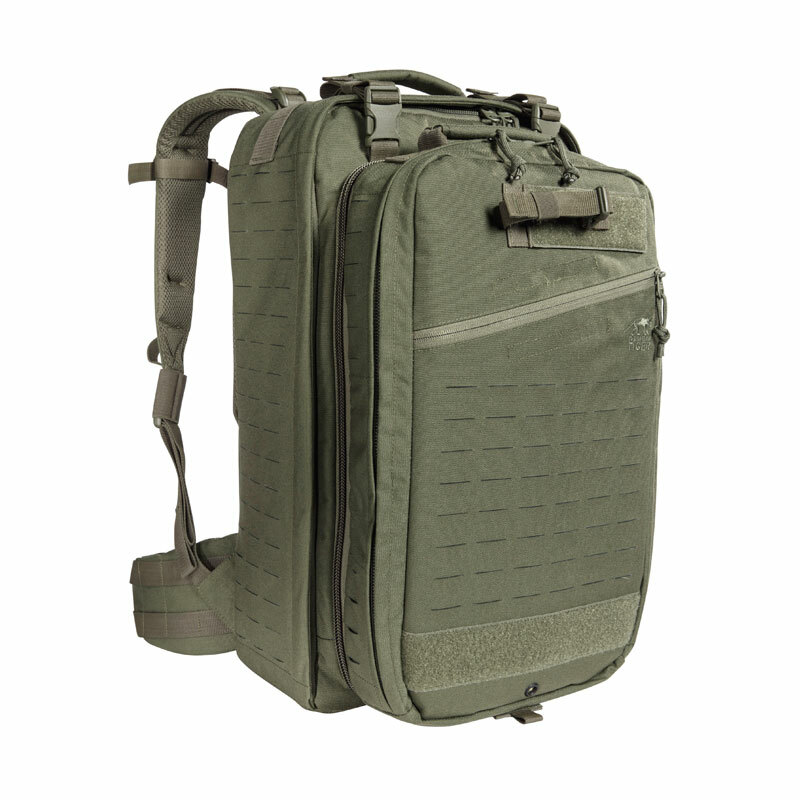 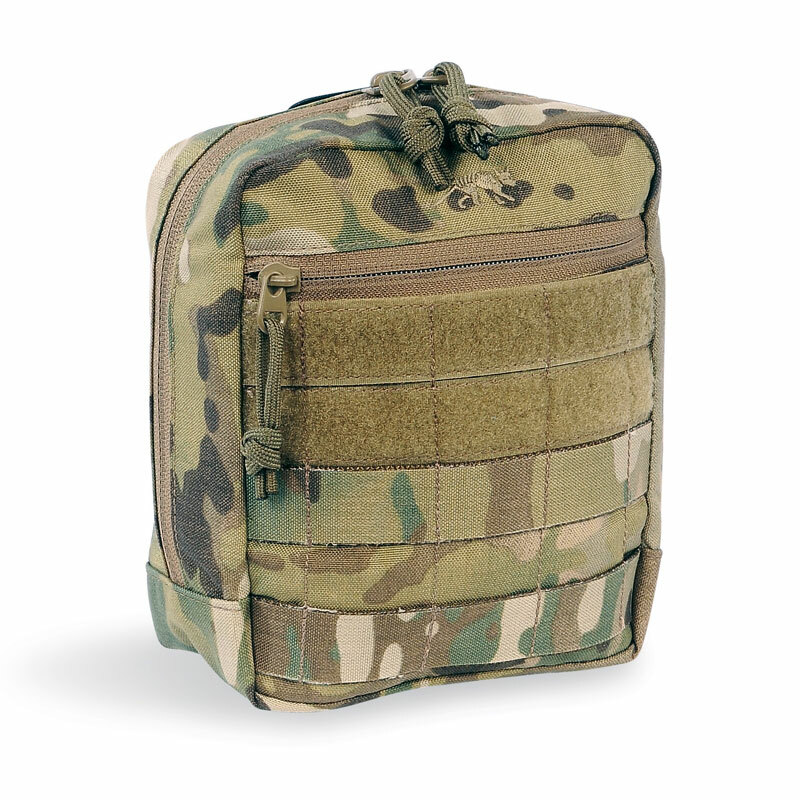 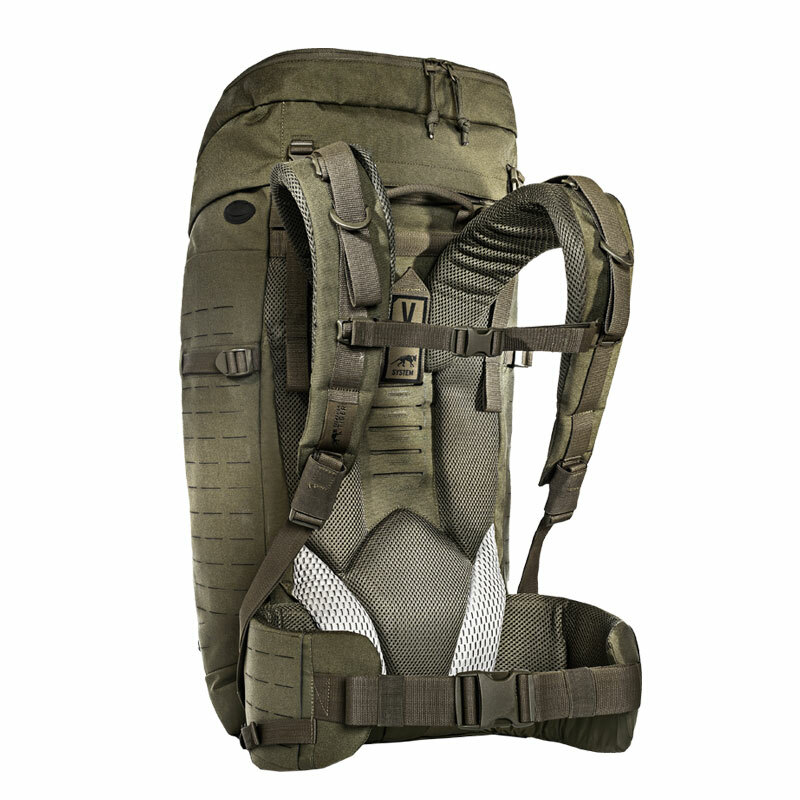 The front opening of this deployment backpack can be fully raised, and the cover can be height-adjusted or removed. 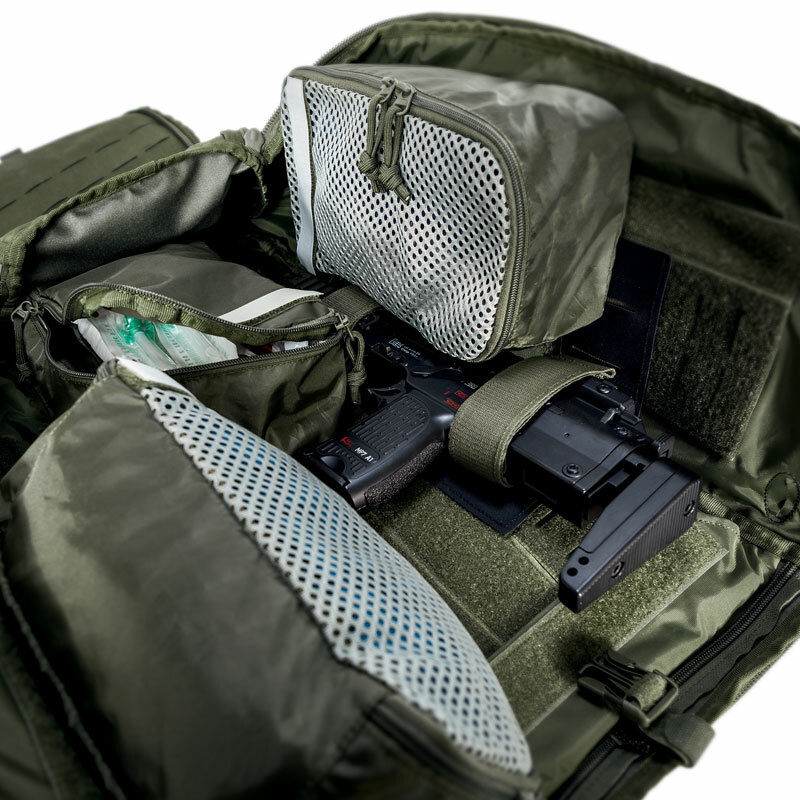 The backpack has a lid compartment and has MOLLE in the laser-cut design on the sides and on the front. 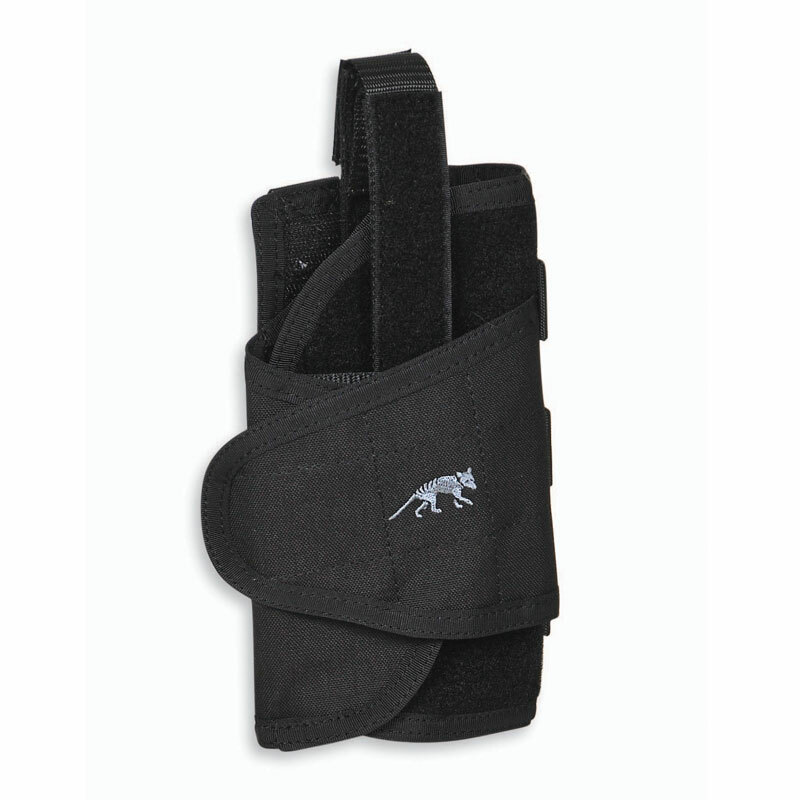 It also has a removable folded pocket on the front. 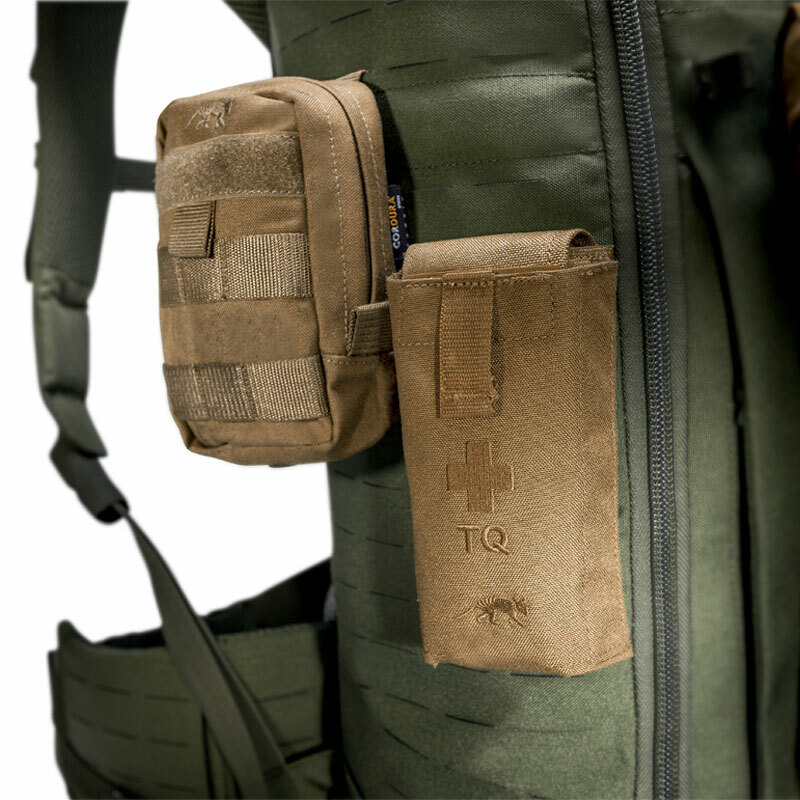 The interior has hook-and-loop patches for customizing the configuration. 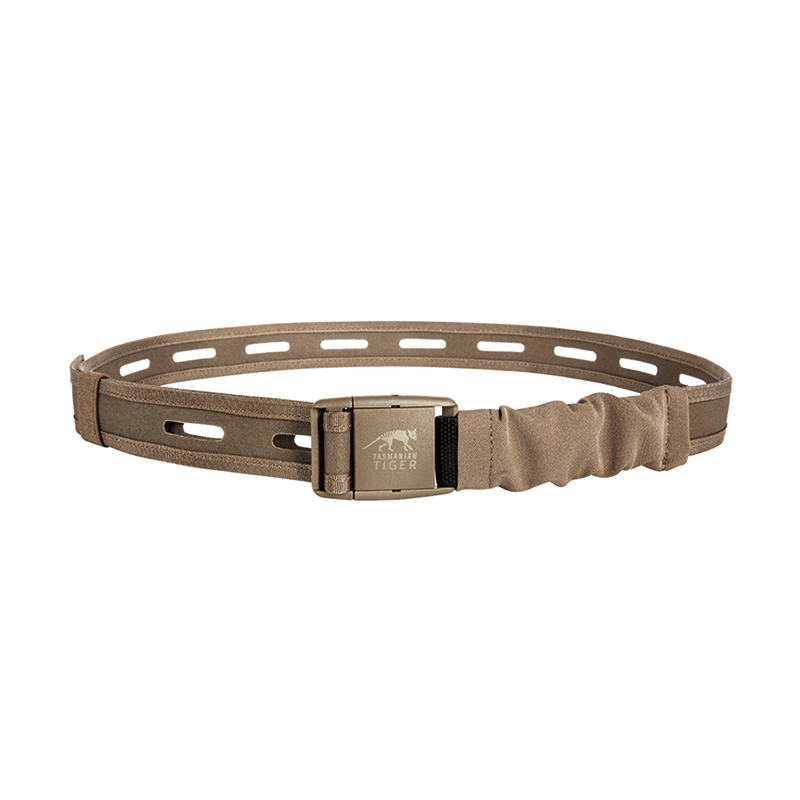 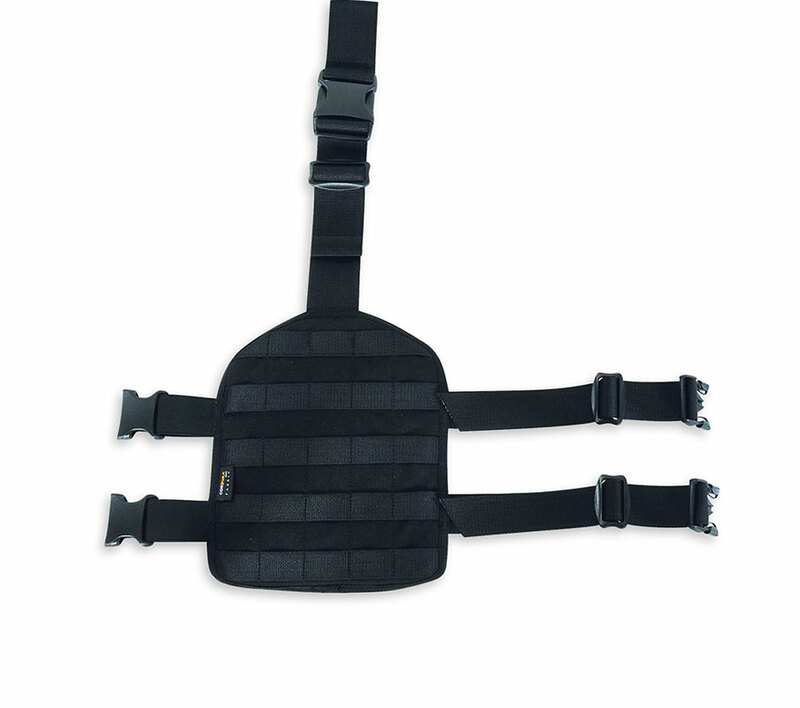 The removable hip belt can also be used separately as the Warrior Belt. 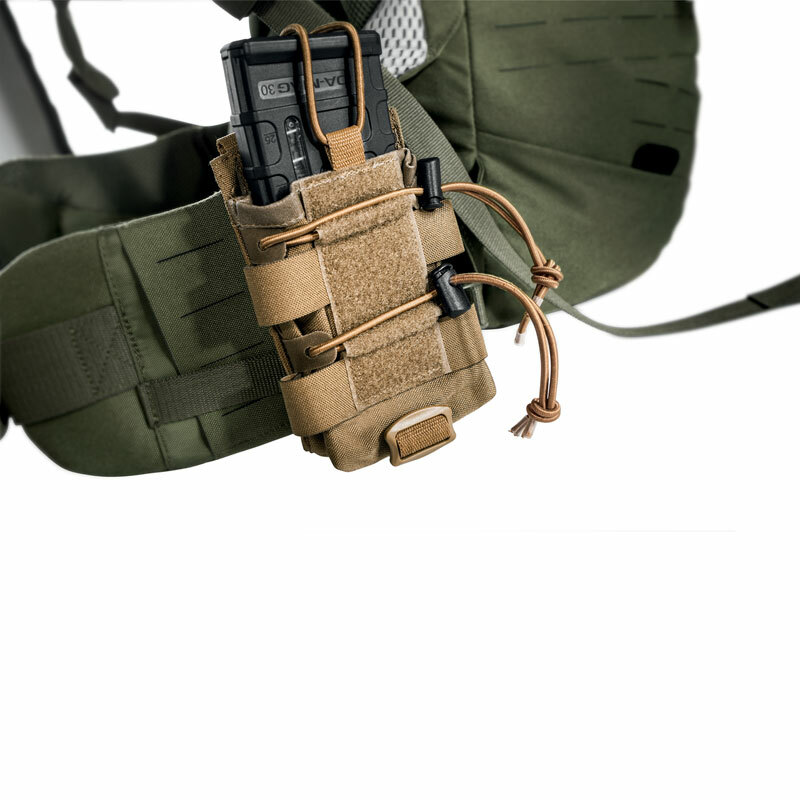 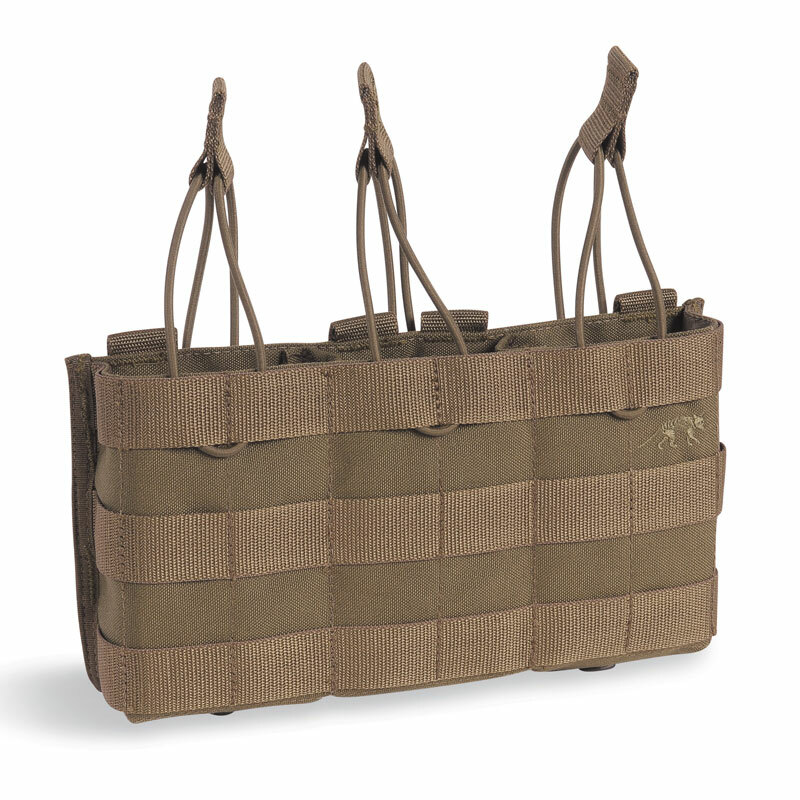 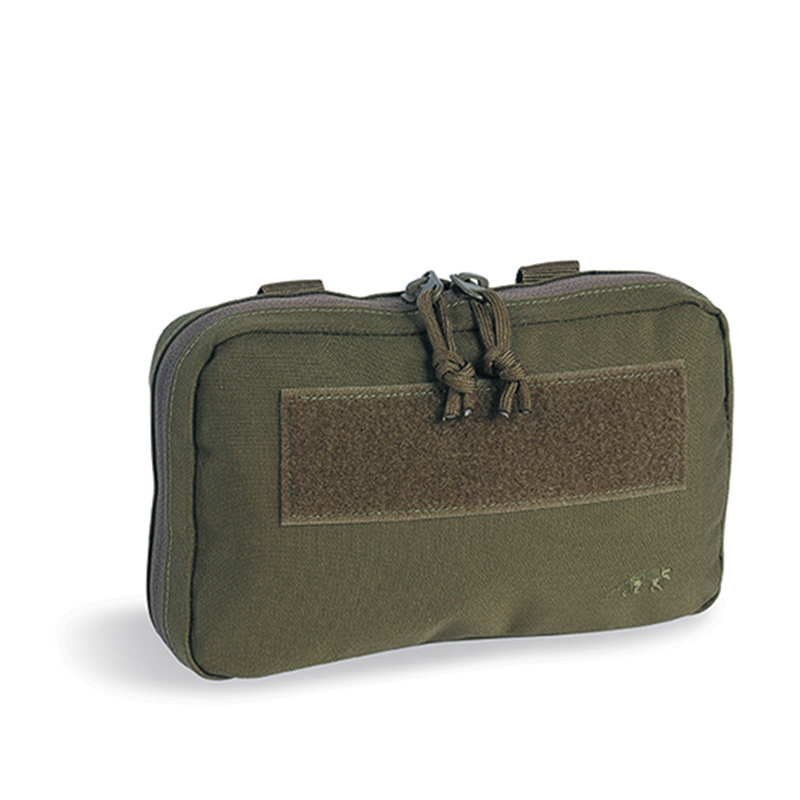 Available with three attached accessory pouches and an attached weapon holster.